Well… I’m finally back to civilization/Internet and it’s time for an epic blog… so brace yourselves. 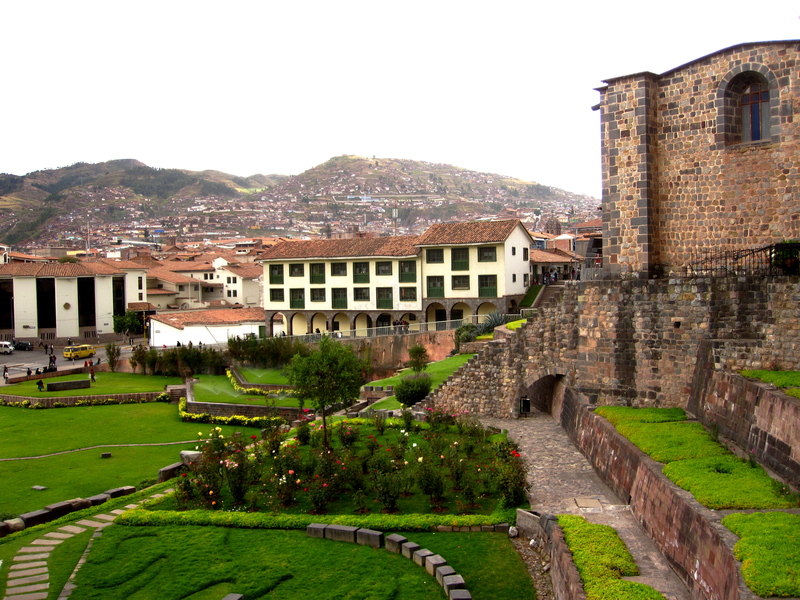 After our time in the jungle, Laura and I flew to the former capital of the Incan Empire… Cusco. We had a whole day to wander around and explore the beautiful city. We visited the Temple of the Sun and did some damage at the local markets. 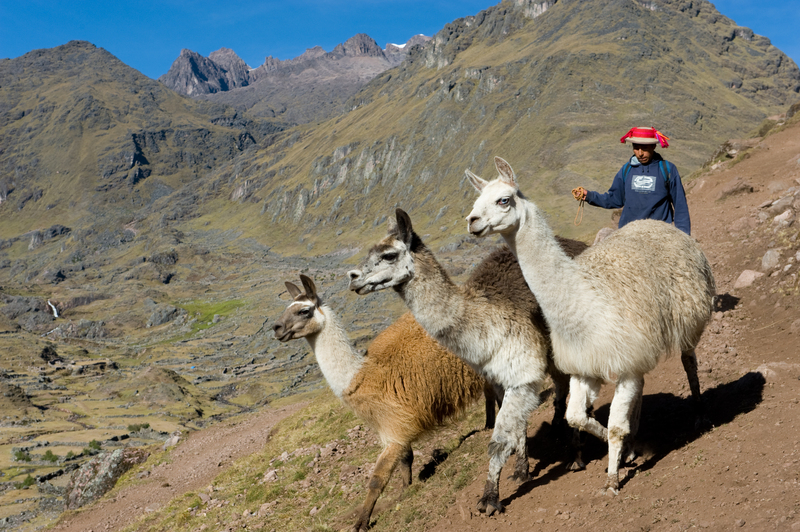 As the gateway to Machu Picchu… Cusco is definitely a bit of tourist trap. We were hassled everywhere we went… hey lady… eat in my restaurant… do you need to book a tour?… would you like a manicure or pedicure? I’ll give you the best price… or our personal fav… the massage mafia. Literally every other person seemed to be offering massages. 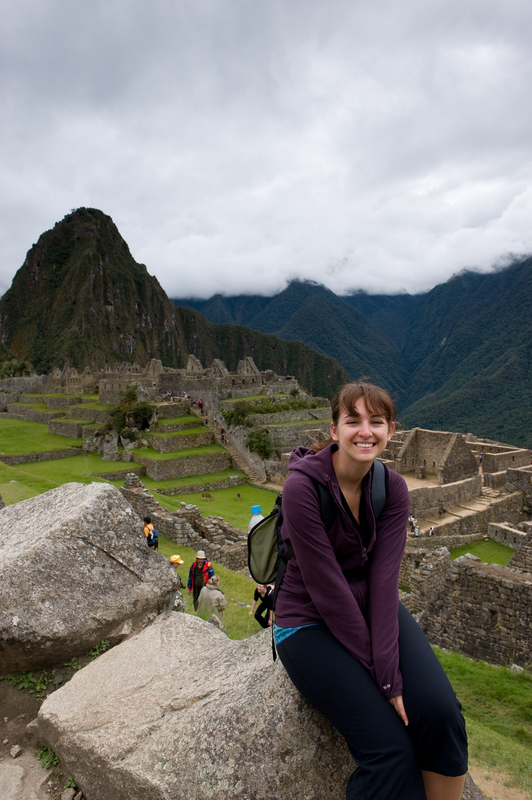 We saw a fellow tourist wearing a shirt that said No gracias and couldn’t have agreed more. 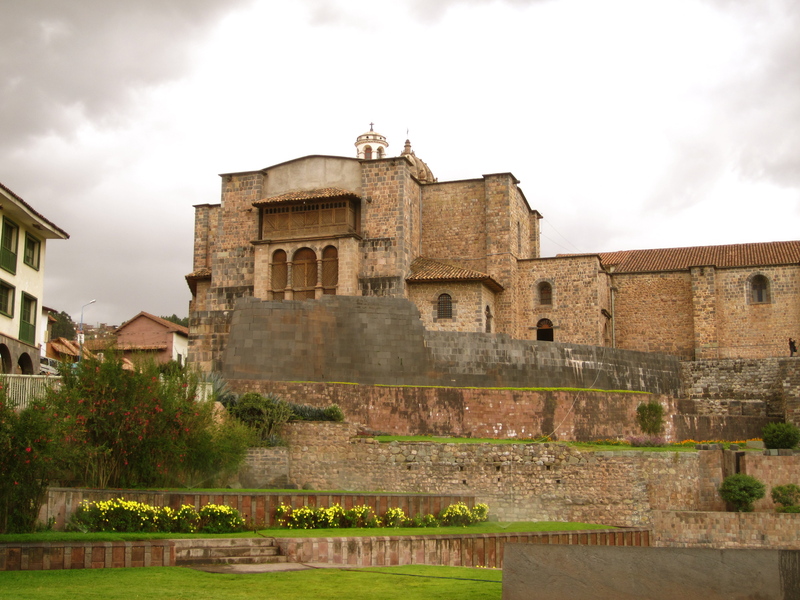 Aside from that… I would have loved to spend more time in Cusco but with only a month to travel… we pressed on. 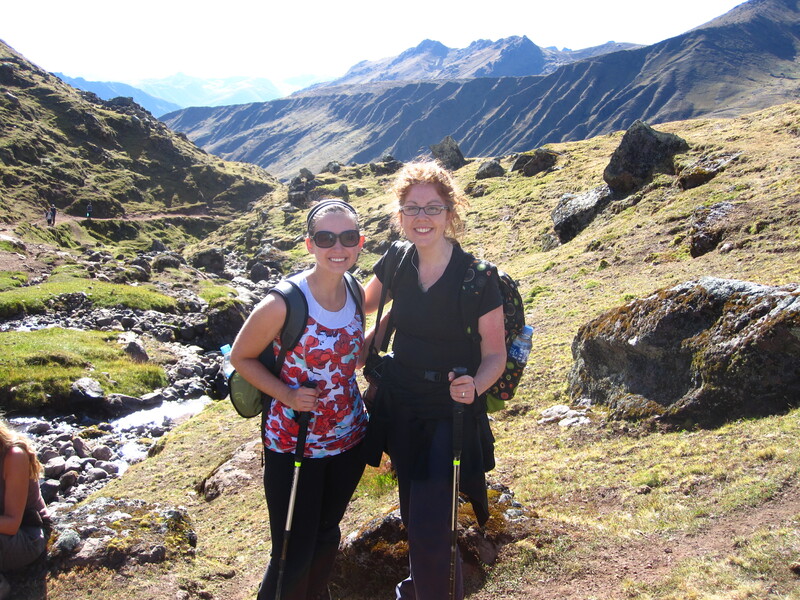 We began our Lares Trek with G Adventures on May 22. 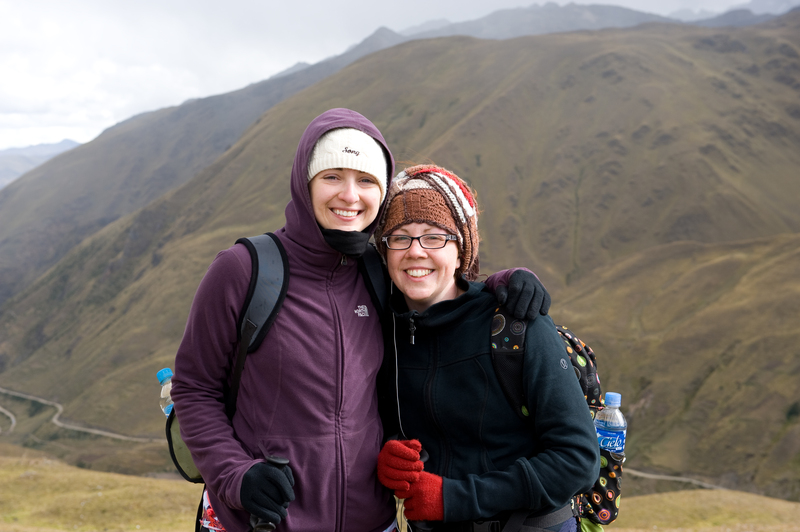 With our day packs and a small duffel bag each, Laura and I met our wonderful guide Gladys bright and early at 5am. 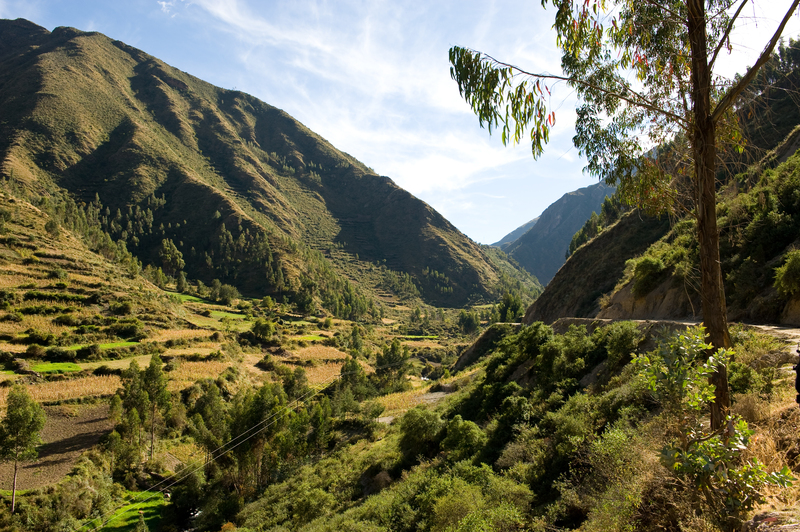 We then began picking up the rest of our group members who were spread out from Cusco to Ollantaytambo in the Sacred Valley. 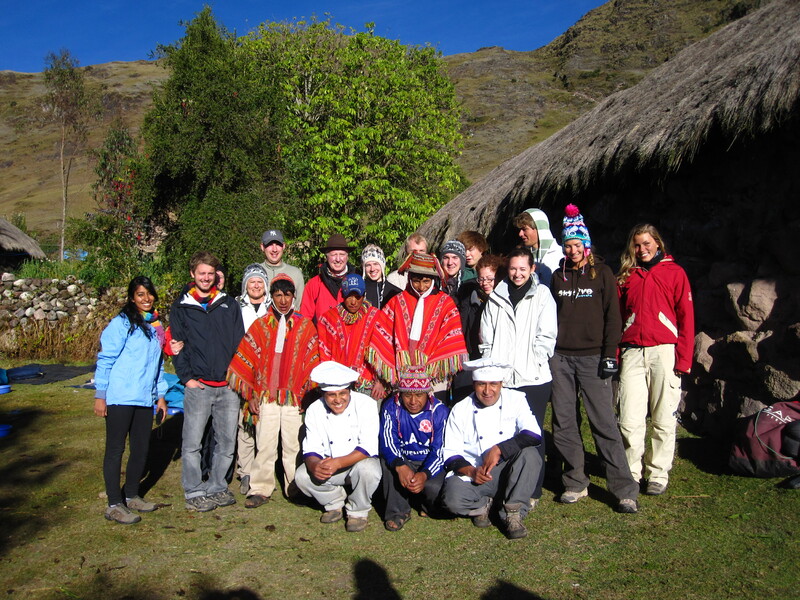 Our group was 15 and we had 2 guides, Gladys and her assistant Pedro. We spent the morning busing to the village of Callca where we picked up some food at the local markets to give to the local children throughout our hike. 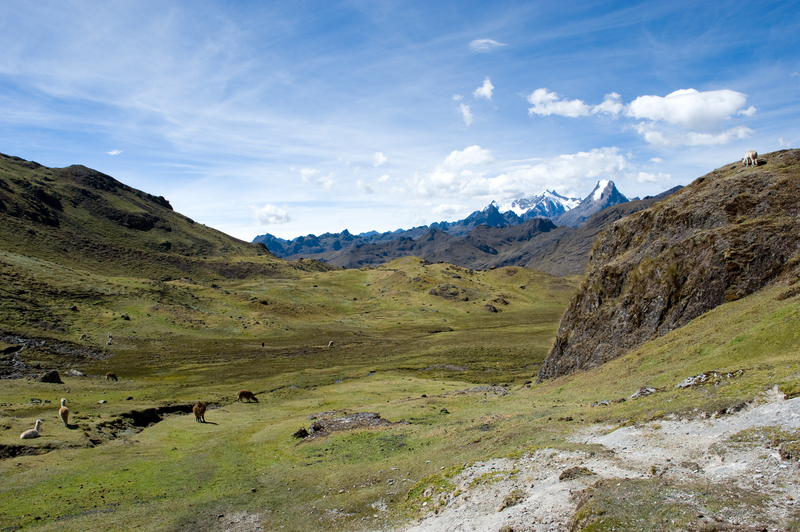 We then continued on to Lares town. It just so happened to be the town’s anniversary that same day so the streets were all closed off for a big parade. 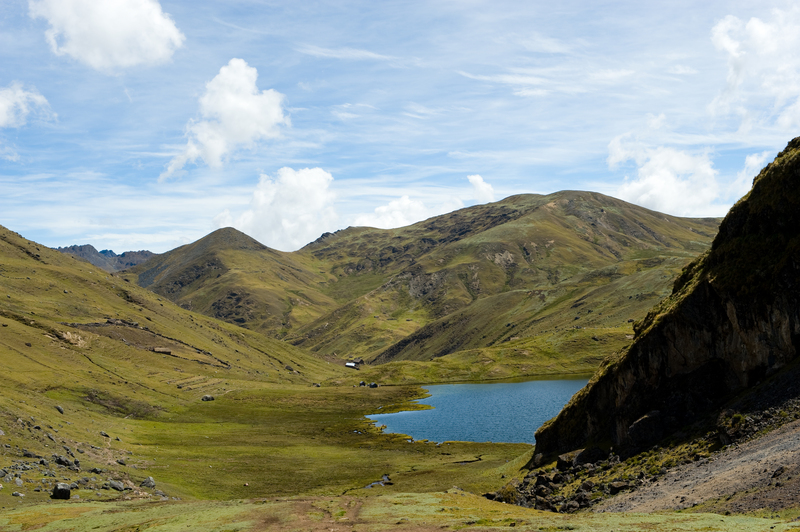 We began our trek there and hiked for about 4 hours to get to our first campsite. Most beautiful location for a “toilet” tent ever! 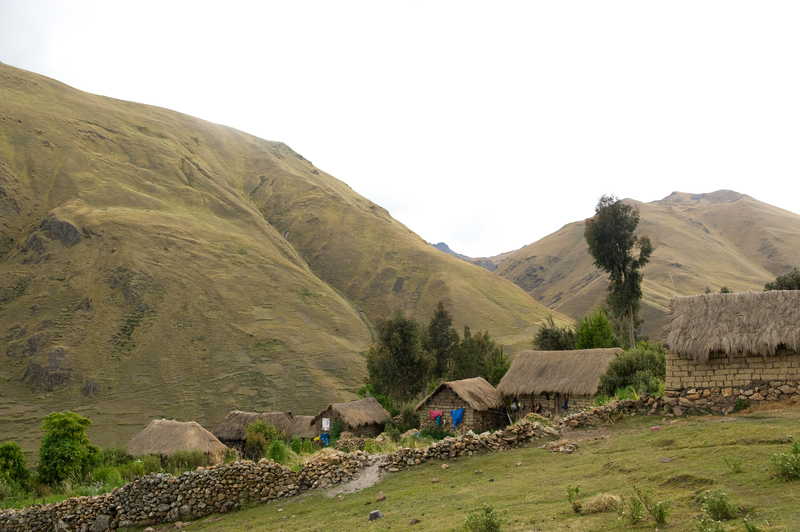 Since we decided to do the Lares Trek instead of the more famous Inca Trail, we were able to hike through local villages and interact with the locals. This was such an amazing experience. 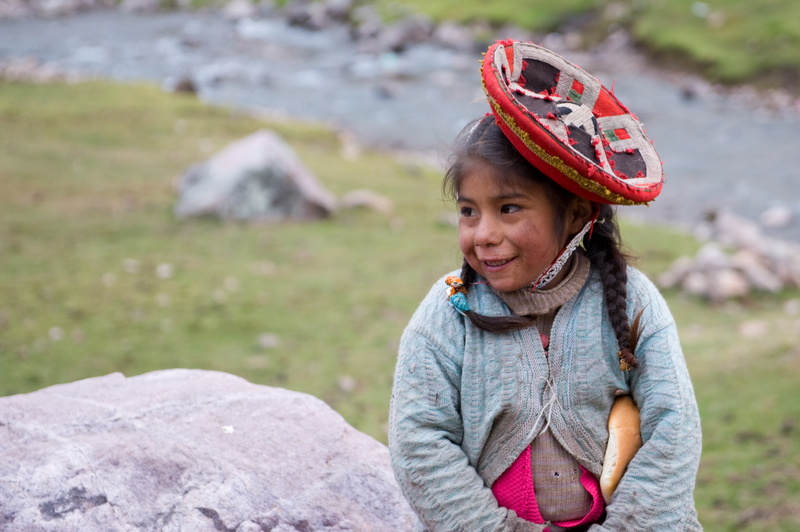 The children were absolutely precious and I couldn’t get enough of their grubby little faces. We all bought bread and packages of porridge to hand out instead of the sweets that rot their teeth. 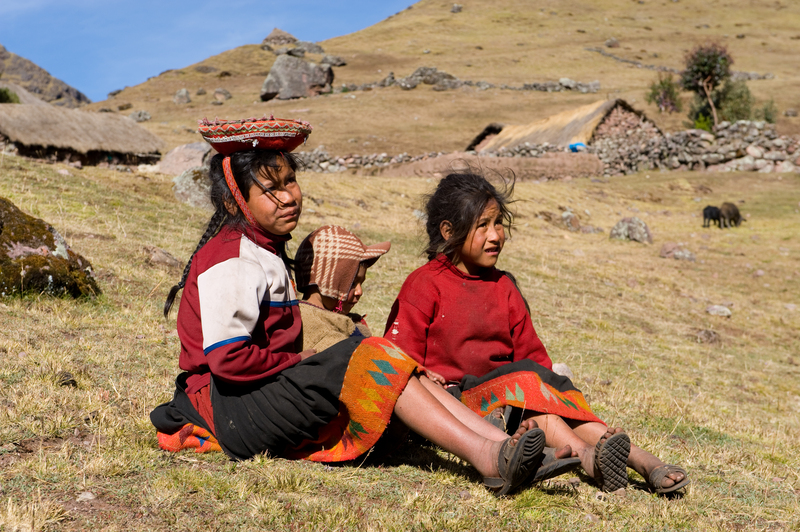 It’s a hard life in the mountains and because of the elevation they can’t grow much of their own food so bread is actually quite a treat. 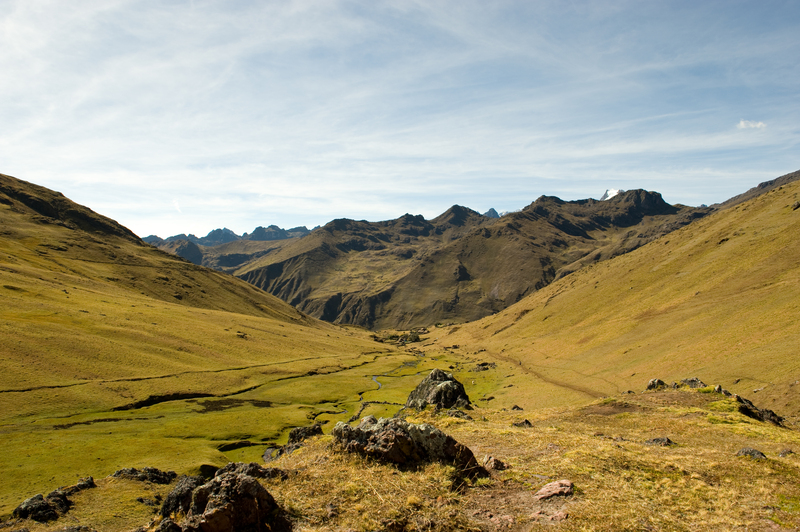 Also, the Lares Trek allowed us to hike without the throngs of other hikers that you find on the Inca Trail. 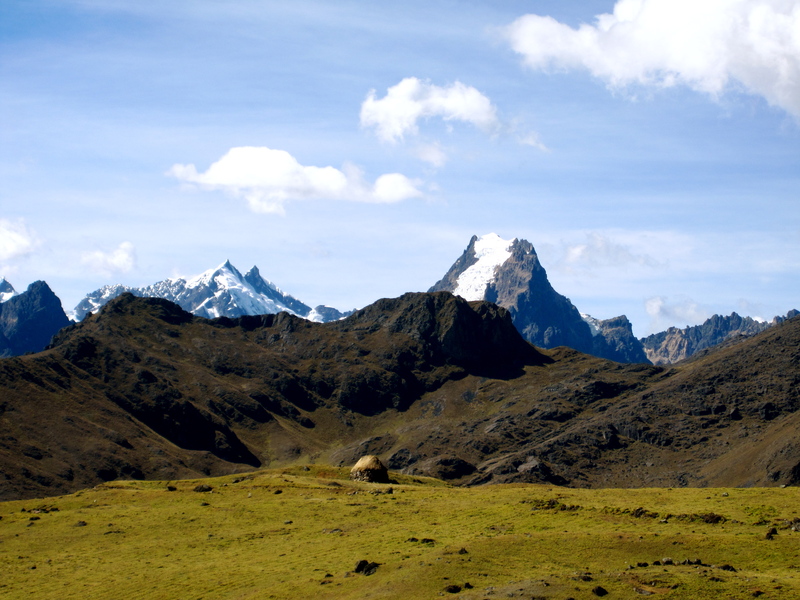 We so enjoyed our solitude and the scenery was breathtaking… or maybe that was the altitude… haha! 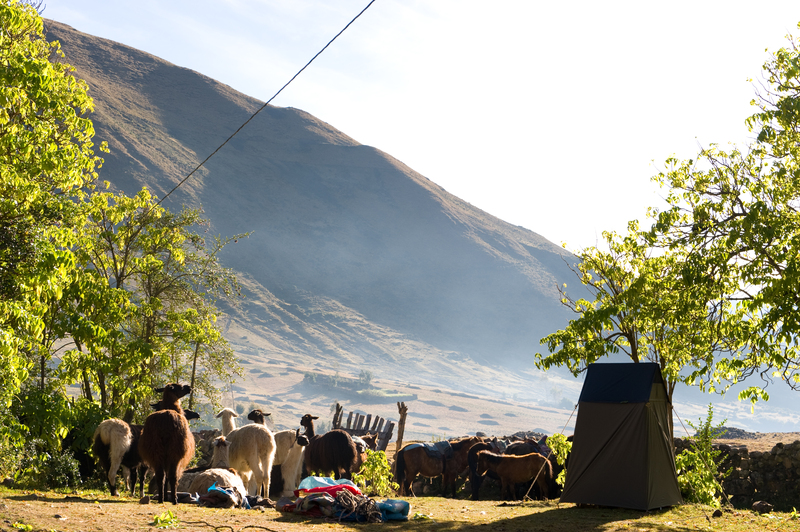 Anyways, our camp the first night was all set up by the time we got there thanks to our amazing porters and horseman. 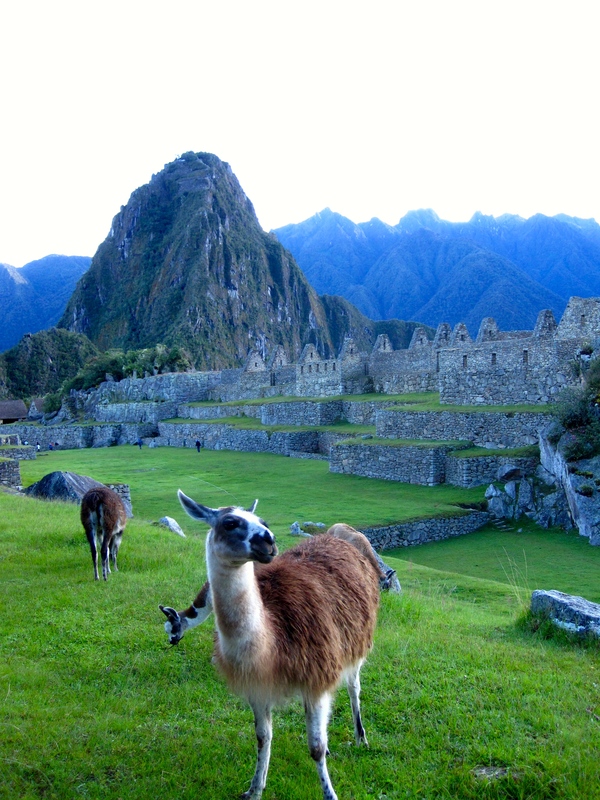 We had llamas and horses to carry our duffel bags and equipment so that was always amusing. The sun goes down early in the mountains (around 530 or 6pm) so we quickly needed to bundle up for the freezing nightly temperatures. 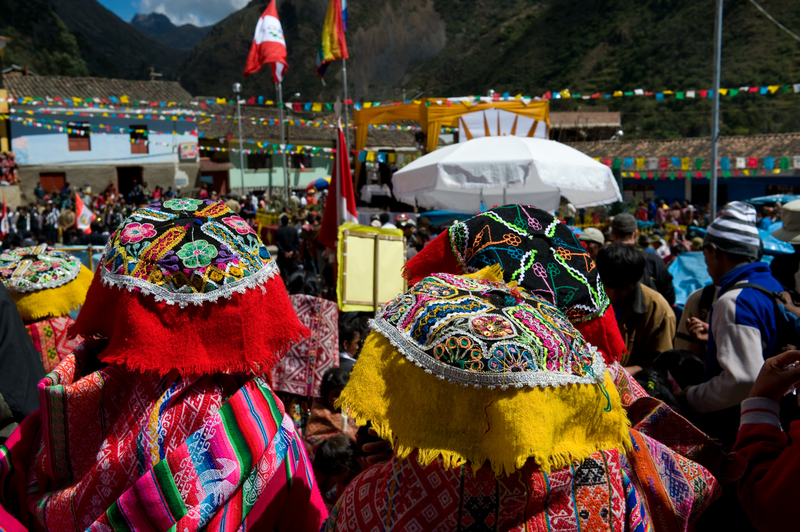 Some local village women brought over some of their handicrafts as well as beverages, and just like that we had our very own bar in the middle of the Andes. Our group began to bond over my deck of cards until dinner. The rest of the day was a downhill hike to our second campsite. 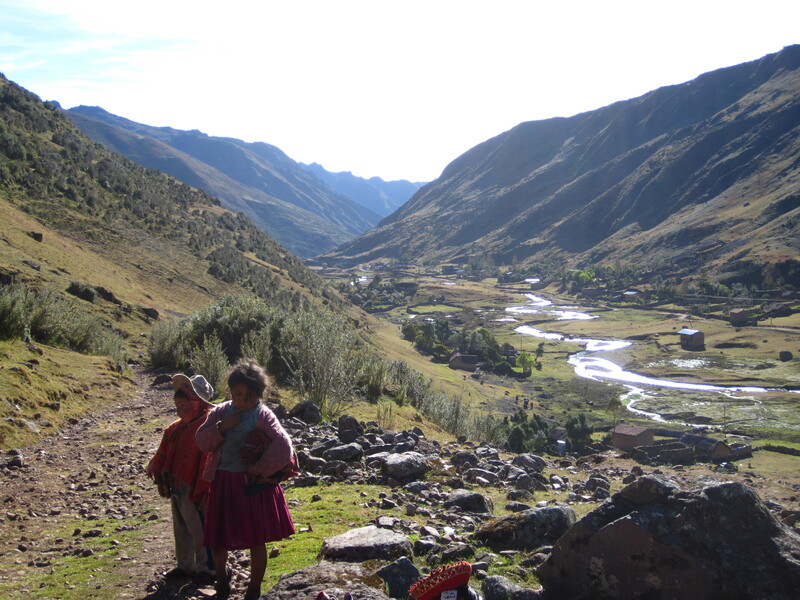 By now, everyone on the trek had become fast friends. We had a wonderful and ecletic group made up of 6 Canadians, 7 Brits, 1 Norweigan, and 1 German. We were all hoping for another village bar but nobody came. So one of our wonderful horseman went into the next village and picked us up some rum and coke. We then spent the whole evening in the meal tent playing cards and trying to stay warm. At dinner that night I somehow managed to dump my entire plate of uneaten food onto the ground… but I’m blaming that on the altitude. Our second night was much better than the first. Our camp was in a more sheltered valley and Laura and I drugged ourselves with gravol so that we would sleep regardless of the cold. It worked like a charm. 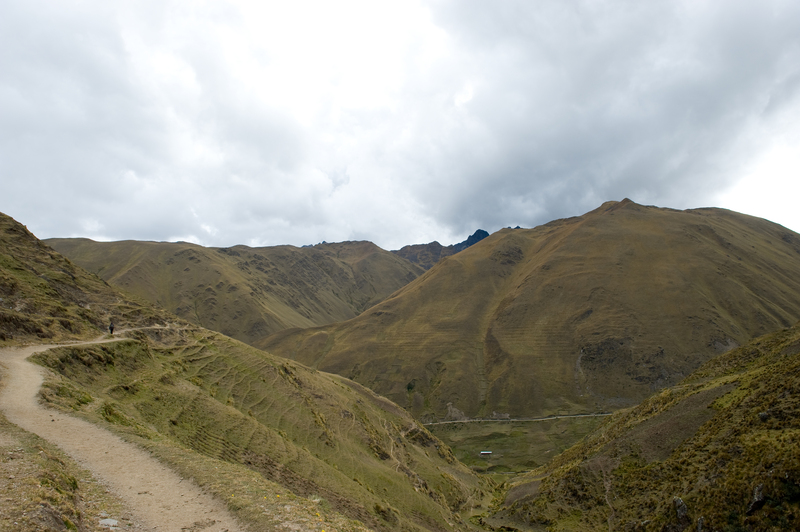 Our third day was mostly downhill again and we ended our hike (35km in total) at lunch time. 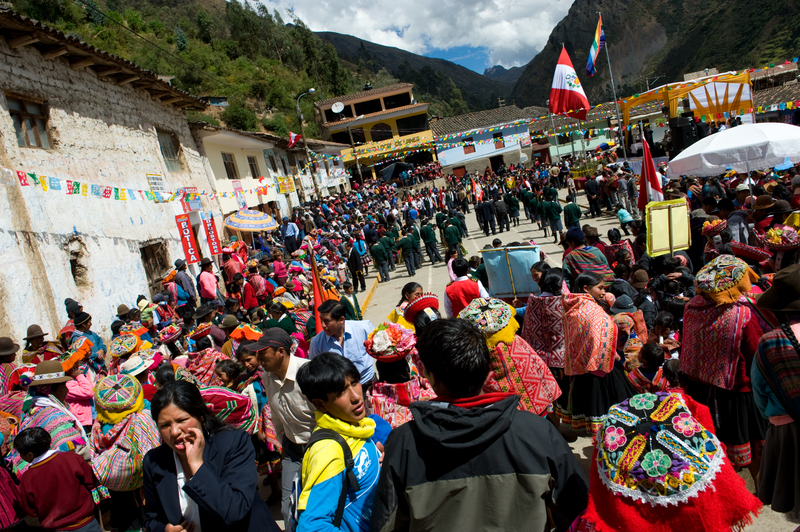 The rest of the day was spent busing/training it to Aguas Calientes which is the nearest city to Machu Picchu. 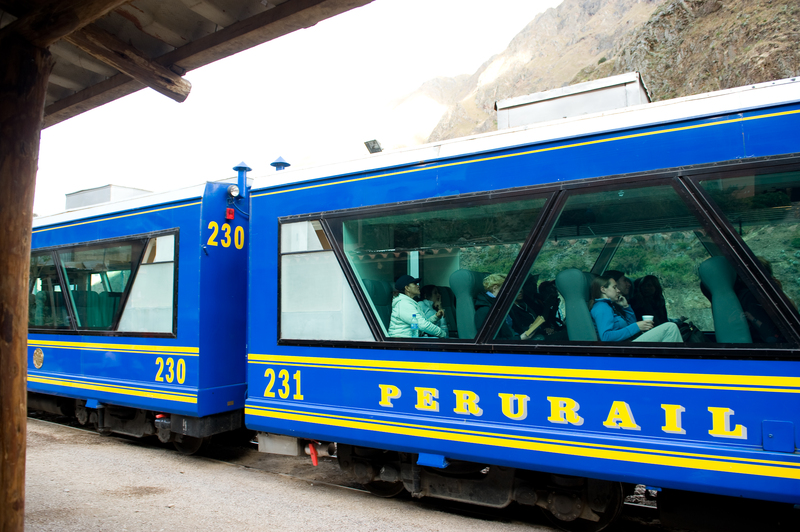 There was unfortunatley a mix up at the train station and Peru Rail had double booked us so our group didn’t make it onto our scheduled train. That meant we had to spent a solid four hours at the train station while we waited for the next train. Fortunately, I once again had my trusty cards. 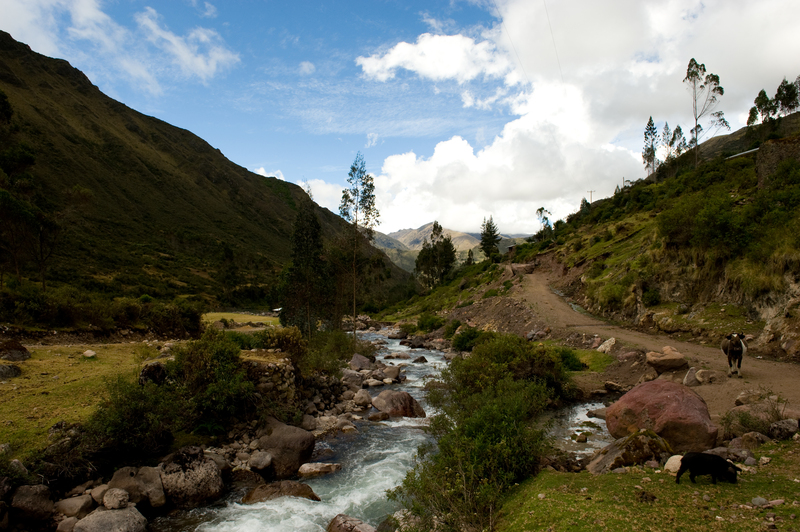 On day 4 of our trek, the day we had all been waiting for had finally arrived. 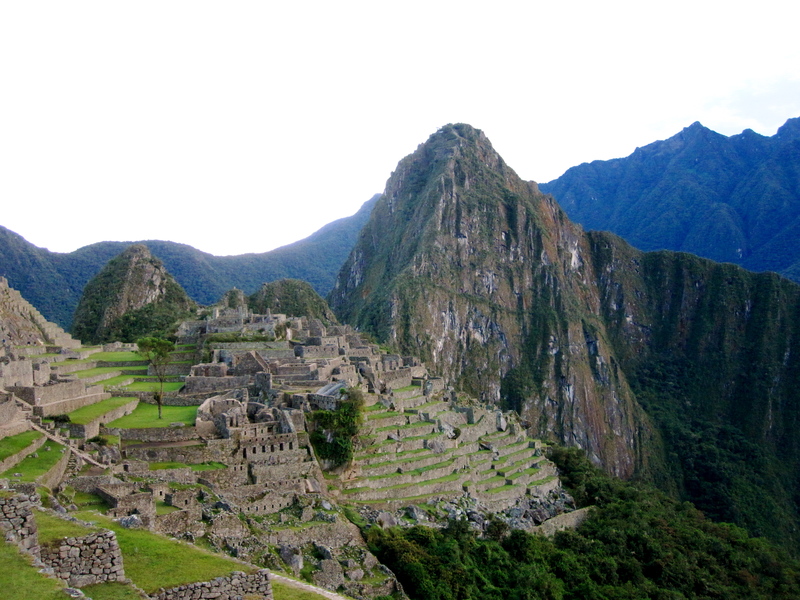 Most of us decided to wake up at 340am to queue for the first bus to Machu Picchu. We waited at the bus station for over an hour and made it onto the 530am bus. 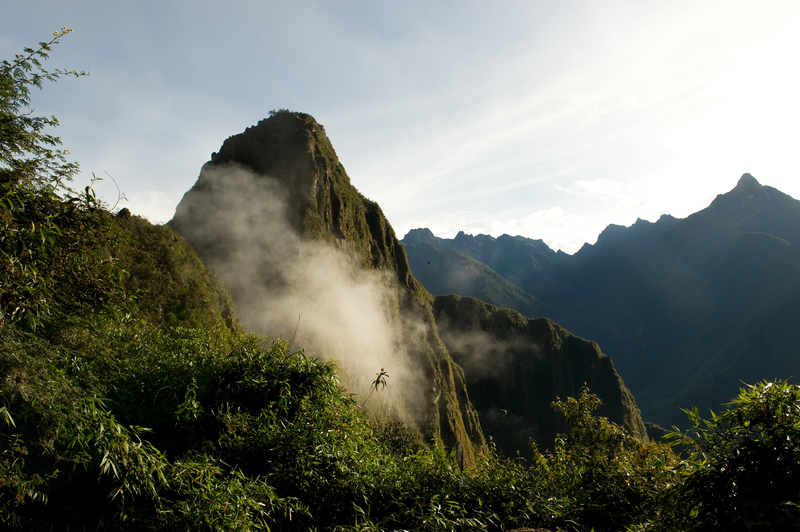 We arrived at the entrance to Machu Picchu just before sunrise and once again lined up to be in the first 400 so that we would be permitted to hike to the top of Huayna Picchu (the iconic peak in the famous photos of Machu Picchu) because they limit the number of hikers per day to 400. 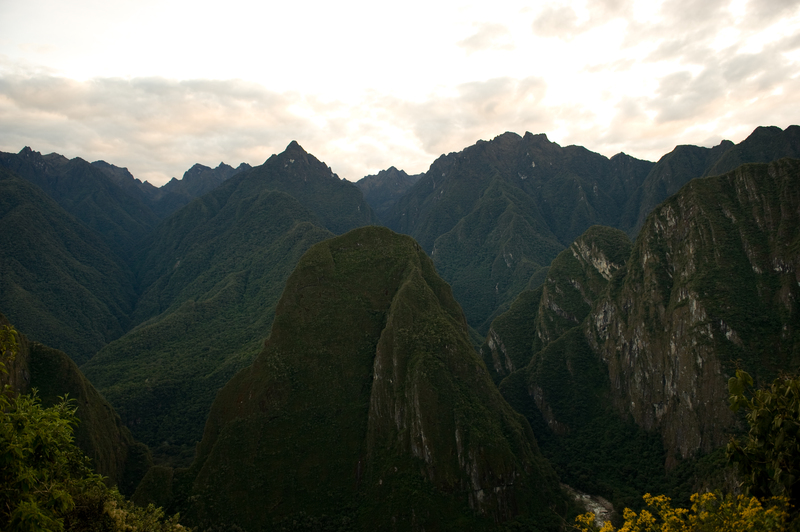 We then entered Machu Picchu and spent the next 30 minutes taking photos and standing with our jaws open. I’ve seen some pretty spectacular places in my life, but this takes first prize. 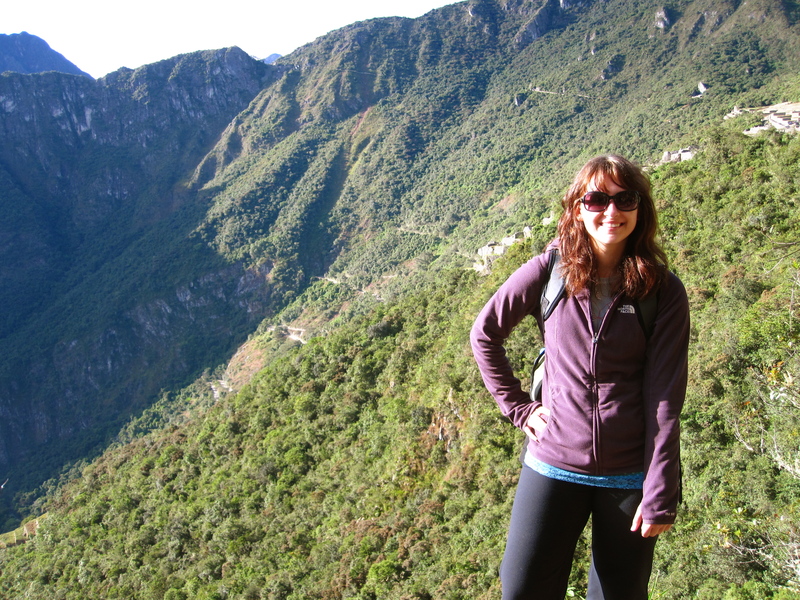 Then, because I hadn’t already hiked enough, we began hiking the extremely steep Huayna Picchu. I powered up the mountain once again and made it about 45 minutes. 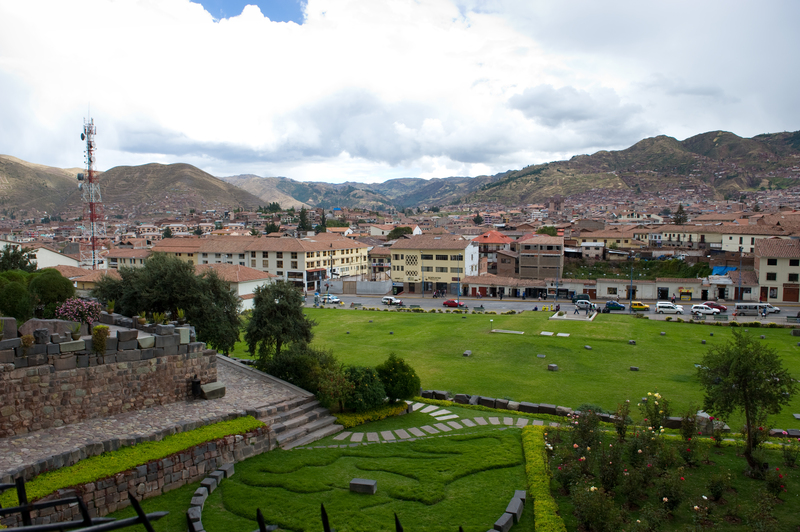 The view of the ancient city from the top couldn’t possibly get any better. The hike down was actually quite harrowing. 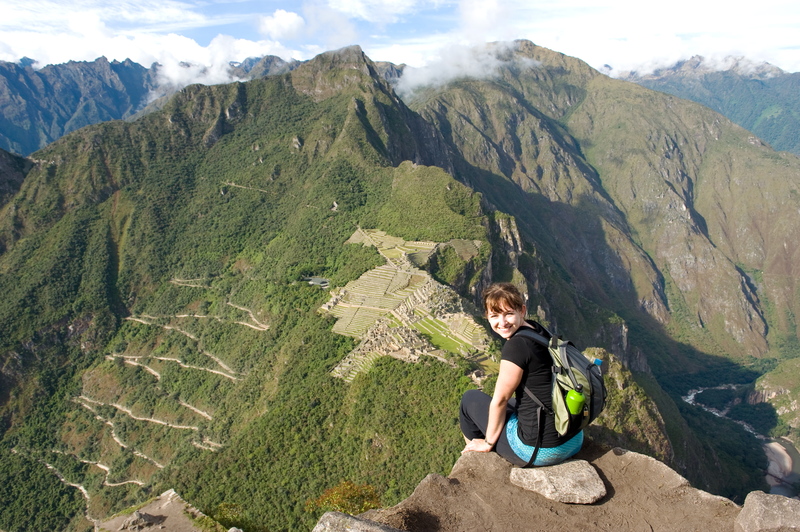 It was nearly a sheer rock face at times and there were moments when I wondered if I would ever make it down. But, of course I did and I have the stamp in my passport to prove it. 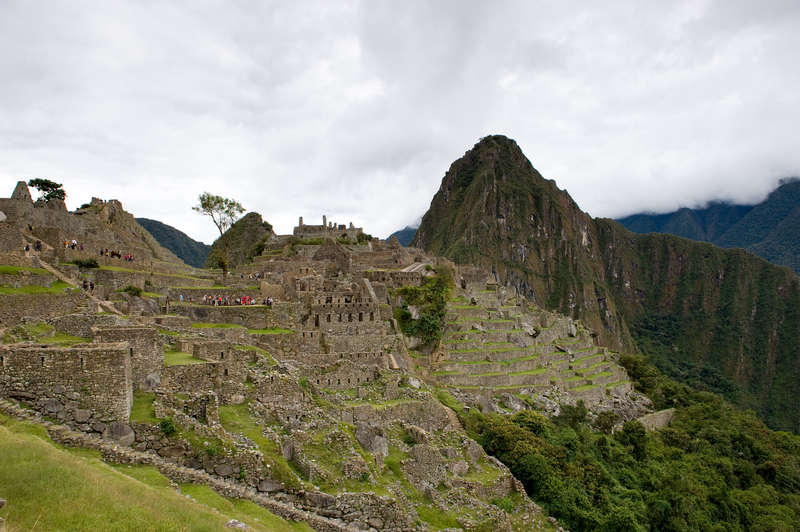 Our guide Gladys then gave us a tour of the Incan ruins and that concluded our Machu Picchu experience. It was totally worth the extruciating pain I am in today. My legs have never been this sore before but at least it is a constant reminder of how lucky I am to have experienced such an amazing place. 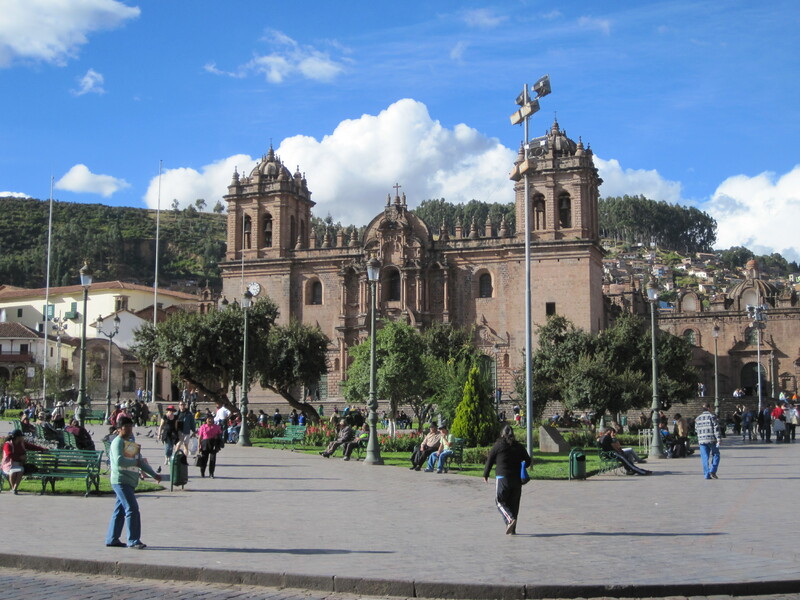 We are now in the city of Puno and tomorrow we are leaving for a homestay on the floating reed islands of Lake Titicaca.